Find your trail section and how to access by trail section below. Park to Park Trail covers more than 200km with several different sections. Select your desire section below to learn more about that section and how to access it. If you are new to the trail network, you can view our complete map to determine your preferred section. The Seguin Trail is the 'heart' of the Park to Park system and runs from Hwy 69 through to Hwy 11largely along the bed of an old railway with iconic views of central Ontario. The Rose Point Trail is an extension of the Seguin Trail and is primarily a non-motorized section used by hikers and cyclists. ATVs and Side-bySides are permitted on the trail, but motorcycles are not. The Parry Sound area is home to the Park to Park head office and the trail heads so some of the best known trails in the Park to Park network, including the Rotary Algonquin Regiment Fitness Trail (known locally as the Fitness Trail) in Parry Sound, the Rose Point Trail in Seguin Township and the Seguin Trail, the best known of all our trails. In addition there are some lesser known trails in the region, including the recently completed Muskiig Trail which travels through the wilds of Carling Township and the Guncotton Trail, the newly built trail along side Nobel Road (formerly Highway 69) through the village of Nobel, former home to the CIL Plant, which manufactured explosives, including guncotton and Cordite during both World Wars. The Almaguin Higlands are home to our most adventurous trails, the Seguin Trail, the Old Bethune Trail and Settler’s Trail. These are a selection of old rail beds and colonization roads that show the history of the region. Transitioning from the wilds of the Almaguin Highlands to the Town of Huntsville, then back out to Algonquin Park, the trails in the Muskoka zone range from dirt tracks for hiking to paved cycling routes and everything in-between. Currently, the District Municipality of Muskoka does not permit ATVs/UTVs/Dirtbikes on their roads or trails so this area is exclusively non-motorized. A 15km rolling single-track style trail following the original Shawnaga Colonization Road between Carling Station and the Dillon Road. This trail is owned and maintained by Carling Township. Trail Head: Access from Carling Station Road, where the trail crosses the train tracks or from Shawnaga Road S. (first right on Dillon Road after it separates from Hwy 559). Parking: At both trailheads, small areas (3-4 cars) can accomodate vehicles with trailers. This trail has large sections of "corduroy" where large logs have been placed in wet areas to make them passable. This may make for a more challenging (and rougher) ride. A 5km twinned trail through the village of Nobel, with a paved walking/cycling trail to the east side of Nobel Road (formerly Hwy 69) and a gravel motorized (ATV and snowmobile) trail to the west. This section of trail is owned and maintained by the Township of McDougall. Trail Head: Access from either the Nobel School just south of Avro Aero Blvd or from the McDougall Township office. This is a great way to get into north end of Parry Sound and access grocery stores, restaurants and other amenities. The North Shore Rugged Trail extends The Fitness Trail into the woods. Running along the rough and rugged shoreline of the Sound, this is a great trail for scrambling and getting familiar with the geography of Georgian Bay. This section of trail is owned and managed by the Town of Parry Sound. The trail runs along the shoreline, the larger groomed trails are for OFSC use only in the winter and are on private property. The Rotary Algonquin Regiment Fitness Trail, known to the locals as the Fitness Trail, is a 5km manicured trail, that follows the Georgian Bay shoreline through the Town of Parry Sound. This trail is heavily used by local residents and a great way to see some of the most spectacular views of both Parry Sound and Georgian Bay. This section of trail is owned and maintained by the Town of Parry Sound. Trail Head: Smelter’s Wharf (the Salt Docks), Waubuno Town Beach, Charles W. Stockey Centre, Champagne Street Dock. Amenities: Washrooms available seasonally at the Town Dock and Beach, as well as during business hours at the Stockey Centre. Parking: Parking is available at Smelter’s Wharf, Stockey Centre and Champagne Street. The Fitness Trail is CLOSED to ATV/Motorized Traffic, please use the roads of Parry Sound to access town amenities. A 8km trail that follows the final segment of J.R. Booth’s railroad. This historic route connects Rose Point, where a bridge passes over to Wasauksing First Nation and Depot Harbour, the terminus for the railroad, to Forest Hill, adjacent to Oastler Provincial Park. This trail, which saw a major overhaul in 2010/2011 is a great location to spot turtles in the many wetlands that line the trail. This section of trail is owned by Seguin Township and managed by the Park to Park Trail Association. Trail Head: Rose Point, James Bay Junction Road, Cargill Road, Forest Hill. Parking: The Rose Point, James Bay Junction and Forest Hill trail heads all have small parking areas, 3-5 cars without trailers, while Cargill Road has a large parking area that will fit 20+ vehicles including trailers. Access the Cargill road parking area to the west of Oastler Park Drive across from Kropf Industrial on Cargill Road. Please be aware that this section is heavily used by walkers and cyclists (including families). Please adjust your speed accordingly. This 80 km section is the best known section of the Park to Park trail network. Following the historic route of the Ottawa, Arnprior & Parry Sound Railway (later part of the Canada Atlantic Railway) built by J.R. Booth, this section of trail stretches from just west of Highway 400 to the Walls Junction where the trail splits. This section of trail is one of the more adventurous segment, with a rough, dirt surfacing and the occasional puddle. This section of trail is owned and managed by the Park to Park Trail Association. Trail Head: Georgian Bay Travel Centre (Highway 400 exit 214) and Sprucedale. Amenities: Food, fuel and washrooms are available at both trailheads, with direct trail access. Parking: At the Georgian Bay Travel Centre, there is a large, paved parking lot with lots of room for trailers and an off-road ramp that connects the PetroCan to the trail. In Sprucedale, food and gas are accessible on the trail. Please be aware that this section is quite muddy and is best suited to ATV/UTV as areas such as the "Seguin Baths" are impassable without a motorized vehicle or a boat. East of Sprucedale and accessable by road, the Walls Split is the junction where the Seguin Trail splits into the Old Bethune Trail, continuing on the rail bed and Settler’s Trail, the historic Old Muskoka Colonization Road, which was ultimately replaced by Highway 11. This section is the continuation of the Seguin Trail past the Walls Split. Passing under Highway 11 and traveling through the town of Kearney to the Algonquin Park boundary this section has a diversity of trail types, from retired rail bed, road and dirt track. The Old Bethune Trail is shared with our partner the Algonquin West ATV Club. This section of trail is currently is managed by the Ontario Ministry of Natural Resources. Amenities: Food, fuel and washrooms are available in the Town of Kearney. Parking: There is minimal parking in this section, by starting in Kearney you can park at the information centre and head either east or west on the trail from that point. Heading south, first on dirt road then on off-road trail, Settler’s Trail provides incredible views of Highway 11 and access to Huntsville. For motorized users this is the end of the route as currently ATVs are not permitted on the roads in Muskoka. For cyclists and hikers, the trail transitions to paved municipal road about 11km from the centre of Huntsville. This section of trail is currently managed by the Park to Park Trail Association. Trail Head: Old Perry Township Office. Amenities: Available off the trail in communities, including Melissa and Novar. Washrooms are available at the AHIC, at Hwy 11 and Fern Glen Road. Parking: Available at the Old Perry Township Office. 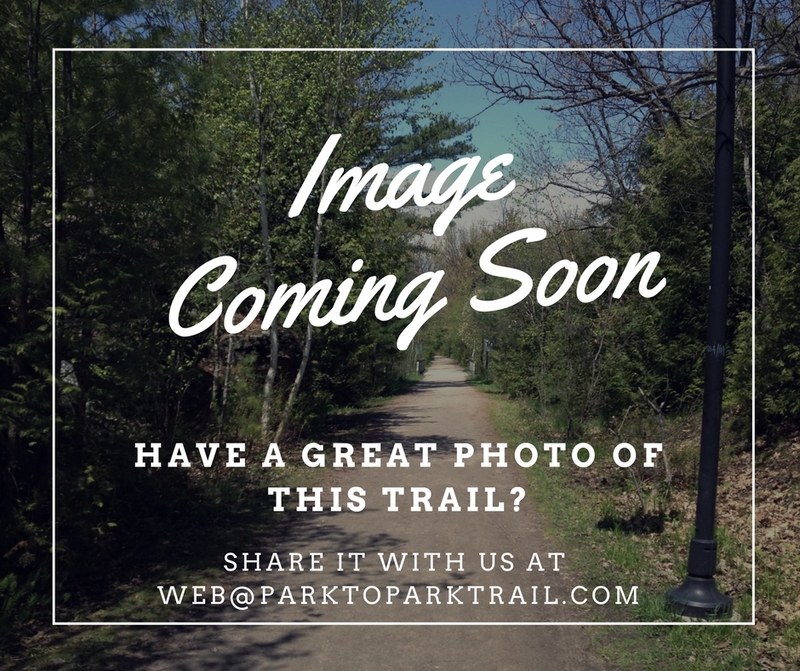 The Fairy Vista Trail is a 3.4 km paved trail in the Town of Huntsville. Passing by fields, forests and wetlands, it is a great spot for a short jaunt or a family outing. Motorized vehicles (ATVs, UTVs and Dirtbikes) are not permitted on the trails or roads in Huntsville. This section of trail is owned and managed by the Town of Huntsville. Trail Head: The two trail heads can be accessed from the corner of Hwy 60 and Fairview drive, and across from Muskoka Rd. #23. This is a non motorized trail only. This road component is one of the few remaining on-road sections of the Park to Park trail network. This section connects together the Fairy Vista Trail and the Ragged Trail, through the town of South Portage via Muskoka Roads 23 and 6. This section of trail does not permit motorized vehicles (ATVs, UTVs and Dirtbikes) as a restriction by the District of Muskoka. This section is a road maintained by the District of Muskoka and the Province of Ontario. This is an on-road section of trail, and as such is suited primarily to road cycling and through hiking. This final section of the Park to Park trail and the section that ends (or starts) at the main entrance to Algonquin Park. Using dirt roads and running parallel to the Muskoka Trails Council’s Oxtongue Ragged Hiking, this section provides amazing views of the Oxtongue River for cyclists and hikers. This section is an on-road (and in sections off-road) section of trail, and as such is suited primarily to road cycling and through hiking.